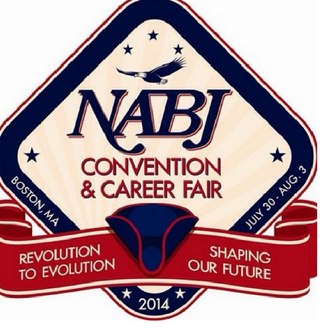 Black journalists have flocked to Boston for the 39th annual National Association of Black Journalists Convention & Career Fair, which is being held at Hynes Convention Center. It’s the first time NABJ has convened in the city once notorious for racial antagonism and tension. As the journalists filed in from media outlets throughout the country, they were greeted by Bob Butler, NABJ’s president, WGBH News reports. One of the most pressing topics of discussion has been the state of black media outlets, many of which are barely staying afloat in a rapidly evolving media landscape, according to WGBH. Yet as Butler points out, the black press was largely responsible for covering some major national stories, such as Trayvon Martin and the Jena Six, that might not have received coverage if left up to the mainstream media. “We wouldn’t know about those things because the mainstream media didn’t care about those stories until they got traction, which was started with the black press,” he said, according to WGBH. Syracuse professor Rochelle Ford said that it’s imperative that black outlets communicate through the platforms their audience uses, which are largely mobile, but, she said, “Unfortunately, our media aren’t there,” notes WGBH. Pew Foundation’s State of the Media 2013 report found that black outlets are also struggling to establish a foothold in television programming—another major platform that African Americans turn to to keep abreast of news, reports WGBH. Read more at WGBH News.